Hello to all out there in guitar dominion, this month’s column will I hope reveal some of the great secrets of some of our favorite guitar players as well as dispel some common misunderstandings. One of the greatest musicians of the 20th century was also a damn good guitar player, he stands alone as a composer, instrumentalist and satirist beyond compare. His name was Frank Zappa. Frank is still IMHO the most underrated musician in the rock and roll era. 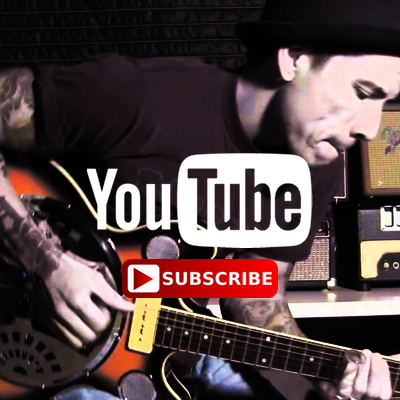 Frank was a master at the use of wahwah (check out his early wah solo on Orange County Lumber Truck from the album Weasels Ripped My Flesh), one of his techniques was using the wah as an EQ boost. His feel for the wah was so good he could feel the notch in the pedals throw that would give him (for most part) that growling round sound that Frank was known for during the 70’s. Try it yourself plug in your SG (or any humbucking solidbody guitar) and get your favorite distortion sound. Now go to the neck pickup crank it up but do not roll off the treble as you would if you were trying to cop the Clapton ‘Woman tone’, leave it up full and roll off the highs using the wah. This will give the wah a full spectrum signal for it to work with. 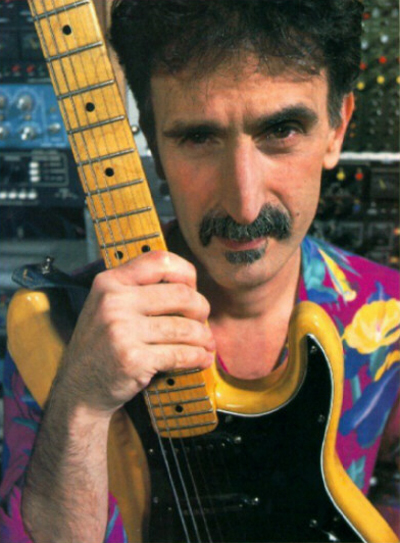 Another Zappa secret was his uncanny ability to combine exotic scales with the pentatonic blues scale. If you watch any videos of Frank playing you will notice he is not in the “normal guitar boxes”. Viva la Frank!!! Speaking of Frank Zappa, it is well documented that growing up two of his favorite guitarists were Guitar Slim and Johnny Guitar Watson. Frank in a Guitar Player magazine interview said that his favorite guitar solo of all time was Guitar Slims Story of my life. This solo has a tone and approach that is very Zappaesque. 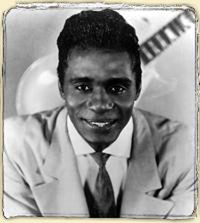 One of the secrets of Guitar Slims sound was the fact that he preferred to plug his guitar into a PA amp as opposed to a guitar amp. This was probably a Bogen or Premier. What Slim liked about these amps I am sure was the loudness (I have seen p.a. 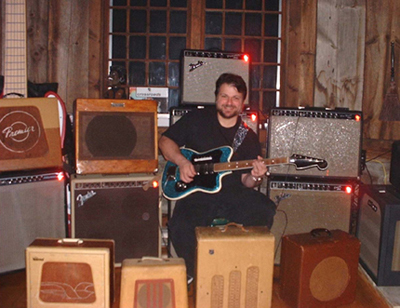 amps from the early 40’s using 2 6L6’s way before Fender used these tubes for his amps) their high end, and most important their reaction to the signal of his guitar (Slim was reported to be using a Strat and a 52 Les Paul) which gave out more signal than the microphones of that era. End result? Distortion mmmm yummy yummy!!! How come I don’t sound like Jimmy Page when I play the intro to Heartbreaker when I use my Les Paul? Is it because I don’t own a 59 Burst? What can I do to make my Les Paul sound like Jimmy’s? Well first of all you would have to transform it into a Telecaster. 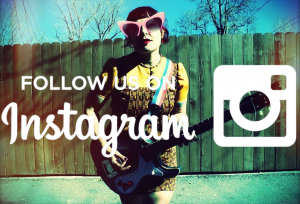 That’s right a Telecaster. Now let me explain how this happened. A young Jimmy Page was the protégé of British studio legend Big Jim Sullivan. Jim was a member of an elite group of cats who like their American counterparts the “Wrecking Crew” played on most of the hit records of the 60’s recorded in England. The fact is that 95% of the records we grew up listening to in the 60’s were made by the same two dozen or so musicians. The truth is no producer (the music industries version of a movies director) would put his reputation on the line using some prettyboys who were signed because of the haircuts or their trousers. (Rutles 101). This fact by itself is what separates the Beatles, the Stones from everyone else, they were the first truly self contained band. Now back to Sully, Page and the Tele. Sullivan could be seen weekly in the UK and US as a featured player on the Tom Jones Show. Sullivan was known for his swarthy good looks and his White Telecaster. Being a studio player Jim knew the merits of the Tele, how it cut through the mix and was a safe bet at sessions as far as its versatility. (A side note; there was a guitarist across the pond making ground breaking records with his Telecaster, his name was Joe Messina one of the house guitarists of Motown’s Funk brothers). When Jimmy took his formidable talent and studio experience to the studio to produce the first Led Zeppelin record Jimmy had an early 60’s rosewood board white Tele in tow just like Big Jims. 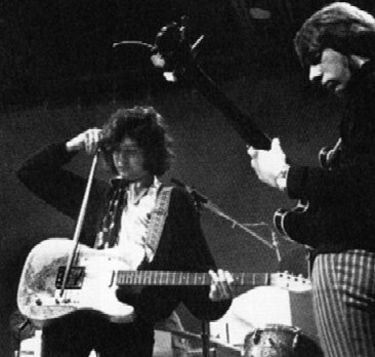 Jimmy had already toured with the Yardbirds using the Tele as well as the first go round with Zeppelin in the UK (check out Zep on the DVD Supershow). But Page felt that the Tele was not fat enough sounding for a power trio setup, Jimmy soon switched to the Les Paul for good. Jimi’s tone using the Fuzz boxes of the 60’s. We all know how thin sounding the fuzz boxes of the 60’s were. Whether it’s a Big Muff, an Octavia,or a Tonebender, they were all pretty thin sounding. Jimi Hendrix used all of these at one time or another, yet his tone was mostly pretty fat and round sounding (unless he was looking for a special effect) This leads us to Jimi’s secret tone maneuver. It’s a really simple one. We all know now that Jimi used Marshall’s most of his career and we also know that Jimi made use of the channel jumper cable (as seen in many of Jimi’s live video’s) Jimi’s trick was to boost the bass sounding channel to even out the thin sound of the fuzz box. 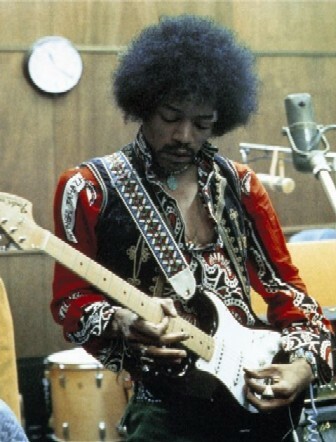 This gave Jimi the desired fat tone he was accustomed to when he came up using Fenders and Ampegs. The other benefit was that when Jimi would simply turn down his volume for his rhythm sound it was still quite big sounding. Rarely in the videos I have seen (many) did Jimi ever step on a fuzztone for a lead, when you have seen him go to a pedal for a lead it was to a wah for the tone boost. Surf guys outboard reverb unit trick. Boy did the surf records of the early to mid 60’s blow my mind. Imagine guitar records with no singing, simple melodies that almost everyone could cop, and tons of self important guitar slinger attitude. I ran into a surf guitar legend years ago and I asked him how he ran his reverb, because I could see that he had something funky going on there as I saw that his guitar was plugged directly into the amp. He smiled and told me that he and some of the other cats of that era were using a primitive effects loop so to speak. Here’s how they did it. He ran the guitar into input one of his Showman and then ran a cable from input two to the input of his Fender reverb unit and ran the output of the reverb to the input of channel two (or normal channel). This way he could not only tailor the sound of the unit with the onboard controls he could also utilize the second channels volume and tone controls. One benefit he did not realize too, was that the guitar running direct into the first channel did not have its dry input signal colored by the reverb unit! This setup is also called the poor mans effects loop. What the hell is all that duct tape doing on the stage? Did you ever notice that when you have a single coil guitar plugged in that the amount of noise changes as you turn or move around? Yeah me too! Did you also ever notice that there were certain spots on the stage that you could get really good feedback if you turned a certain way? Yeah me too! Over the years I have heard stories about how Hendrix would spend over an hour at his sound check finding those hot spots on the stage. 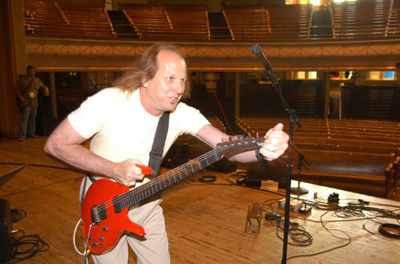 Legend has it that Twang Bar King Adrian Belew took it to a new level by incorporating this feedback and sustain into his tunes as part of the melody and arrangement. This made it necessary to make these markings on the stage part of his setup. No room for spontaneity for Mr. Belew, he needed what he needed when he needed it. So here’s the trick after the band sound checks bring out the tape and find your hot spots, even if you don’t utilize feedback you will still benefit from knowing where on the stage your guitar will be most responsive. hello there and thanks to your info – I’ve diienetfly picked up anything new from right here. I did however experience some technical points the usage of this web site, since I skilled to reload the site lots of times previous to I may just get it to load correctly. I have been pondering if your web host is OK? Now not that I am complaining, but slow loading cases times will very frequently affect your placement in google and could damage your quality rating if ads and ***********|advertising|advertising|advertising and *********** with Adwords. Anyway I am including this RSS to my e-mail and could glance out for a lot extra of your respective interesting content. Ensure that you replace this again very soon..